The prestigious Schloss Bensberg Classics car show was the perfect event to display the rich heritage of ŠKODA's car-making history – and one car in particular. Since 2009, it has become a fixed date in the car enthusiast’s calendar. Schloss Bensberg Classics boasts that it hosts “very important cars only”, and the unusual and often extremely rare vehicles on show have the fantastic backdrop of the Althoff Grandhotel Schloss Bensberg, just outside Cologne. 2015 was a special year for ŠKODA, and it celebrated its 120th anniversary at the event with some stunning examples from its rich history. And alongside other unique gems of vintage car design, there was a special guest: a faithfully restored streamlined prototype of the stunning ŠKODA 935 Dynamic. 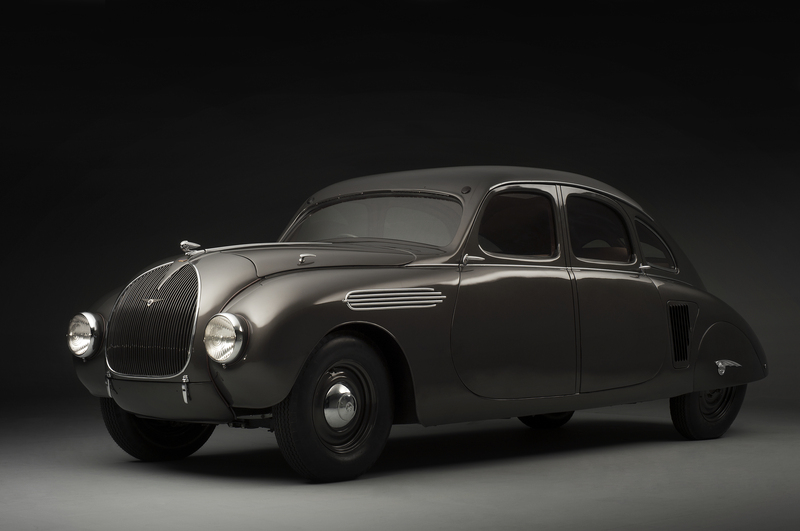 This car is the only surviving example and had not been seen by the public since 1935, when it was first introduced at the Motor Show in Prague. The 935 Dynamic’s exquisite shape expresses ŠKODA’s pioneering work in optimising aerodynamics in car production. The streamlined teardrop profile with rapidly declining tail and fin is not only stylish and elegant, but also provides stability at speeds of up to 140 kilometres per hour. The dimensions of the car – 4.86 meters long, 1.68 meters wide and 1.54 meters tall, and with a long wheelbase of 3.2 meters – all help to emphasise the elegant appearance. It all recalls how, in the 1930s, ŠKODA had a reputation for producing prestigious luxury class vehicles. As Michal Velebný, coordinator of the restoration workshop at the ŠKODA Museum puts it, “The ŠKODA 935 Dynamic is a true gem of our brand. Given the excellent condition and completeness of the vehicle, we have been able to faithfully restore one of the highlights of our automotive tradition – including the original colour.” The 935 had a special place in the show, because it was literally one of a kind.